Watch Out for Counterfeit Smart Electric Unicycles! Airwheel fans! Please go through this report before rushing to spend a fortune on Airwheel or its fake copy. 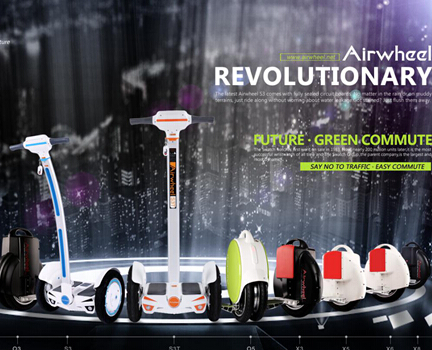 All Airwheel electric unicycle/scooter products are CE, RoHS, MSDS and UN38.3 certificated and quality guaranteed. Electric unicycles are prevailing overnight. There’re numerous subscribes are posts on Youtube and Facebook of them. Consequently lots of brands and manufacturers who claim themselves as “independent developer”, or “self-balancing technology”, or “Hi-tech”are springing up all over. However the truth behind the phenomenon is, a large proportion of young and trendy customers lack the quality and safety awareness, and many off-grade suppliers assemble counterfeits to make quick and easy money, which has already posted severe threats to customers’ safety. In a further background study, sources in Airwheel Technology Co., Ltd. confirm that multiple protection measures are essential to a reliable and qualified electric unicycle. Take Airwheel X3 as an example, its build-in original Japan-made lithium battery core (Sanyo or Panasonic) enhances charging and discharging capacity. In addition, it features Speed Limit Protection, Tilting Protection, Low Battery Protection as well as an intelligent control chip and fuzzy software algorithm to protect your safety during riding. As the saying goes, “You get what you buy”. The retail price differential between certificated electric unicycles and counterfeit products can reach as much as USD300-USD500. Most off-grade assemblers and suppliers invest little in the R&D and quality control while marketing on the Internet and on-line shops. Don’t be penny-wise and pound-foolish, watch out for counterfeits and value your own safety. Previous：احترس من الكهربائية المقلدة Airwheel!